A man with Chrohn’s disease has transformed from weighing four stone to becoming a champion weightlifter. 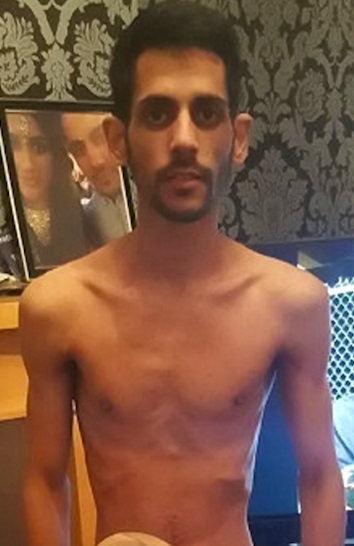 27-year-old Manny Singh Tura has suffered with Chrohn’s all his life, but he lost weight rapidly at the start of 2017 after his bowel burst on Christmas Day. As a result, Manny had to have an ileostomy bag, which connects the small intestine to the abdomen and collects body waste through a bag. 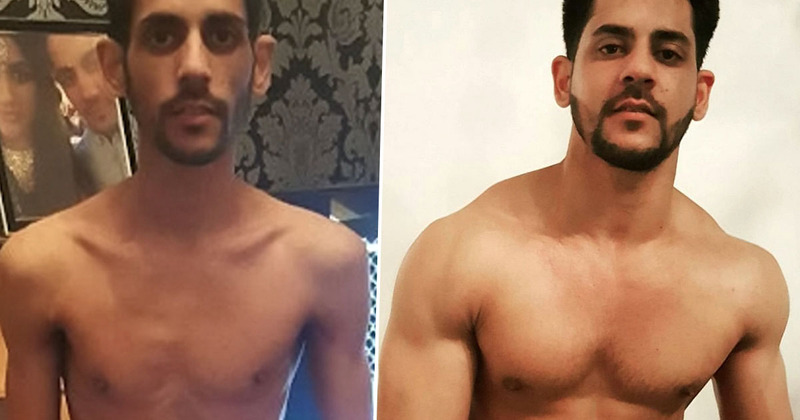 In just two months, Manny’s weight dropped from 7st 5lbs (48kg) to 4st 5lbs (29kg), and his struggle to gain weight led to him being hospitalised and tube-fed 1,200 calories for 12 hours a day throughout February 2017. Before getting ill I was 50kg and dropped down to around 29kg, I went from having a fairly muscular frame to being like a skeleton. It was sad looking at my body because I had never been this thin, I’ve always been small but this was completely different. Manny wasn’t allowed to leave the hospital until he gained weight, so the determined man did research into nutrition and learned what changes he needed to make to his diet. In May 2017, Manny found six inches of his bowel hanging out of his body whilst changing his ileostomy bag. He then underwent a reversal surgery, which meant he would no longer need the bag. As part of his mission to gain weight, Manny swapped a can of Coke a day, hot dogs and other processed foods for healthier meals such as fish and prawns, and he was eventually allowed to go home five weeks after gaining 10kg. [The] doctors were amazing and took good care of me but there was never any recommendations of what type of diet I should have, I felt helpless but I had to do my own research to find ways to help myself. I used to eat donner kebabs and other junk foods regularly but once I stopped the stomach pain just went away, I felt so much better. I went from having three meals a day to five, my new strict diet helped me gain weight, I gained like 1kg a day. One friend would make me mackerel, sardines and prawns every single night and each morning he would visit me in the hospital to drop off the food. I had a hotplate for me to warm food a friend snuck in, I’d use it when doctors and nurses weren’t around, it was a lifesaver and a can of air freshener to hide the smell of fish. When I got home, I still had to tube-feed but I was more aware of what I was putting in my body. In January 2018, after making a full recovery, Manny competed in a bodybuilding competition and broke a regional powerlifting record at 180kg, three times his body weight. He went on to compete for Great Britain in September, and came in fourth place. I admired bodybuilders so I made a promise to myself I would gain weight and be strong again, I did it in less than a year. Winning and breaking a record made me feel like I had independence over my body again. 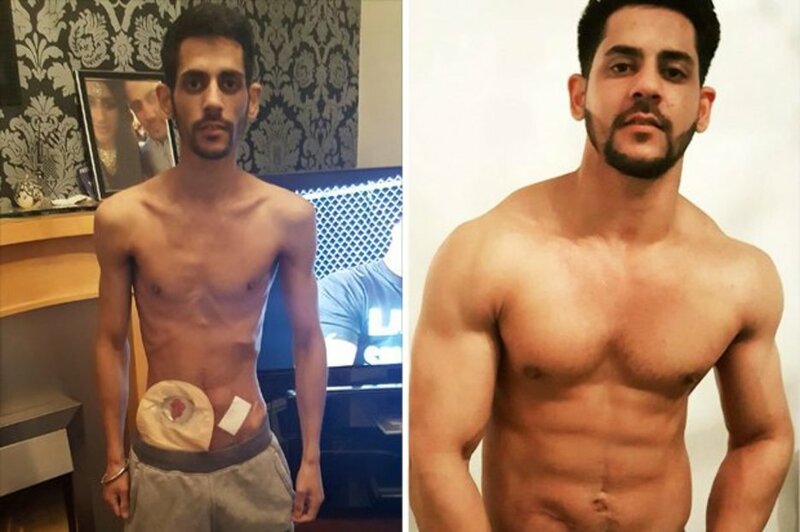 As Crohn’s is a lifelong condition, Manny still suffers from it, but he now feels he has the disease under control – though he does have to be careful not to strain anything when he’s weightlifting.